Waits’s teacher texted me this photo today, along with: Waits says he loves you and misses you. “Say I love you. Mommy, I miss you. Mommy, I love you.” Aaaand that’s pretty much my love list right there. Hello Friday, you gorgeous creature you! Another week down and another weekend ahead. I’m ready, with lots of work behind me and lots of fun looming – just the way it should be, eh? I’ve had this song in my head all week, after Heidi shared it with me. I’ve loved Nellie Mckay for ages, long before I was vegan, and I love her even more now, knowing she’s a badass animal activist. This song has nothing to do with that, it’s just super cute. And now, my favorite part of Friday, the part where we all come together to shout out the things that make us smile. Thank you all for being a part of this weekly ritual, it means so much and always brings me so much joy. Thank you! And then last weekend with those ladies, all three of us together again. I’m sure everyone here can relate to what I’m talking about – those people who knew you before you were the current You, people who have seen the many changes of You, who’ve witnessed the worst version of you and stuck around to help, who’ve watched you bloom and shrivel and bloom again, who know all your insides and when you’re telling a story they already know who so-and-so is and you don’t have to explain why you made certain decisions or why your Dad was upset about X or how finding that record felt like divine inspiration, ’cause they already know all that background stuff. There’s just nothing like that feeling, and I had lost it for so long (moving to a place where nobody knew me) and now that I have it back I’ve come to appreciate it in such a reverent way. You know? 2. My first piece going up on Our Hen House! I’m so thrilled to have a guest article up at one of my very most favorite online publications. Check it out, and please poke around Our Hen House – you wont regret it! We went out to dinner recently, and afterwards we were walking together, just shootin’ the shiitake and actually, totally cracking each other up. We joked about how the best way to remove sexual tension from a friendship is to get married and have a kid! And maybe you think that sort of humor is morbid, but we got a good laugh out of it and man, I’m just so thankful that we have a true friendship and that we can still love each other and laugh at ourselves and continue to work as partners to raise our boy together. We are extremely lucky. Also! garlic roasted pistachios .|. Wait’s hair which contains more shades than I even thought possible, it is the most perfectly complex highlight extravaganza! .|. talking on the phone with my Grandma .|. enormous salads .|. dinner with family (or close enough) .|. snuggling all night with Waits .|. hanging out with musicians .|. strawberries and beets in my CSA .|. kiss attacks .|. successful distraction . . .
There’s nothing like old (and new!) friends :) It’s good to connect with people on that level. -Supportive classmates in a rough semester: and on that note, impending graduation from grad school! Congratulations on the OHH piece. They need to interview you on a segment on vegan pregnancy and parenting. I have campaigned on your behalf previously! About old friends, this past New Year’s, a former very close friend texted me after 3 years of not talking. Things did not end well with us. I didn’t get back in touch with her. It wasn’t a good New Year’s Eve this year and I was still hurt by how things ended with her. But this post has me thinking about how brave and kind it was for her to reach out and that it would be healing and good to reach back. –it’s getting warmer (FINALLY), which means I can stay out for longer and longer walks with the babe. –Mad Men Season 6 starts on Sunday. WOOOOOT! –Feeling inspired to cook and write and create after a latent period. -Chia Seeds! Tried them for the first time yesterday! -Girls Day with friends tomorrow! Love it! I’ll check out your Our Hen House piece (LOVE them!). And I know what you mean about old friends. I’m thankful that my bestie from junior high is still my bestie today (and she’s vegan and she reads your blog too!). - It’s finally spring!! I had to wear a stupid coat yesterday, but temps are in the 60s today and 70s all weekend. Thank god. - My daddy! He’s battling some health issues now, but I’m staying strong for him. He’s the best man on the planet. - Nachos (I don’t think this warrants an explanation). I’m best friends with my ex too and it’s nice to see when other people are as well! 1. Just joined a gym. I fought against it for a long time because I really believe it’s better to go running outside than in a gym but it’s a really nice sanctuary away from home to relax! 2. Scary supervisor meeting that I was scared about yesterday went really, really well. 3. This is the first time I’ve been single for an extended period of time in my adult life and I’m actually starting to enjoy it! I agree with you Joselle! I would love to hear a segment on OHH on vegan pregnancy and parenting by Sayward. It is true. When you have that connection with people where they know you just as well as you know yourself, there is a sense of comfort and realness. 1. Spending Sunday afternoons with my family. My boyfriend sits at home alone but, I get to spend that quality time with the crazy people who provided me life. 2. This is kind of a love/hate item. I hate writing papers for school. They are so repetitive and boring. However, the high I get when my email sound goes off on my phone letting me know a paper passed…. BLISS! 3. My window sills. They are all cluttered with soon to be veggies. The tomatoes, basil, and kale are making me squeal with joy. i’m so happy for you and damien! it takes tremendous courage to step away from something so safe and familiar and it seems that the three of you are handling it with such grace. sunlight in the evenings…productivity for myself and for others…spring cleaning…new business ventures…this wonderful, amazing life i have growing in me right now! i love every stage of pregnancy! Lovely post Sayward, the picture of Waits is perfect. I’m so happy that you and Damian make a solid team, it’s so rare. *My boyfriend and our menegerie, for being the most beautiful and supportive family I could have ever dreamed of. *Lemon & mint juice mixed with ice water. *My new massive glass jar, so that I can make huge green juices! Love list! I look forward to this every Friday now! 3. Essie “Go Ginza” nail polish. 4. That’s it hit 50+ in upstate NY, which means hoodies, windows open, and weeding, weeding, weeding! 6. My late birthday present from my daddy-o, my first cold frame! It’s so great that you and Damian can remain friends – a sign of maturity and good hearts and is just nice to see written about. it s been pretty rough lately, and finding things to purely love without a but is hard, but these kinda make me do it. knowing things. liking the things i know about. being nerdy and exited about it. I love your observations and I’m so happy to hear that you and Damien have found what works for you both. I think you will inspire others who are in similar situations to try to do the same and that it is possible to go through that all together and still remain amiable partners. -My son. The one who truly motivates me and brings me so much joy. Sharing life experiences with this little person and seeing him appreciate things for the first time ever. Well…there just aren’t words for how cool that is. -SPRING! The flowers on the trees, the neon green leaves unfurling everywhere, color is back and it is good. -The wine. Because it’s liquid relaxation and it pairs well with food! -My depression. Yes, even that. Because even though it can be lonely and hard, I’m learning to see that there is a positive side to it. It makes me who I am; sensitive and deeply emotional about all things, even the good things in life. It makes me passionate. I think that all this darkness in me helps me to see the stars. No more apologies or fighting against it either. Just allowing it to flow freely unabashedly. It has become a well of ideas and growth. 1. Hot Bamboo coffee substitute with 2 dates and almond milk “whizzed” (whirred?) in the Vita-mix. 2. Planning a trip home, looking at pics of home, dreaming of home. Beautiful picture of Waits! And I loved reading your article. 1. Fresh, homemade vegan cinnamon rolls. 3. Discovering organic baby kale! What took so long? Connection is absolutely everything, I think. Aw thanks lady! 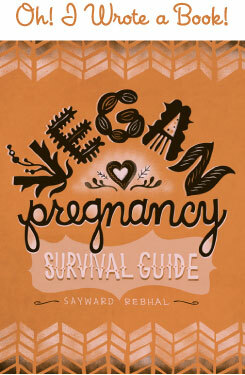 They have a few other writers who wrote about vegan pregnancy (and vegans not having kids!) so they said they had the issue covered. I tried! Wow Bianca that is awesome, to have a friend from so far back AND who’s vegan. That is seriously special. Also, I’ve been thinking a lot about VVC and I’m getting so excited, and I can’t wait to re-meet you and hang out in person! Salt and vinegar kale chips??? Recipe? How long have you been single? My longest stretch was a year, which in retrospect seems so short. I’m wondering how it will feel this time around, as it stretches into the years and years zone. I enjoy being single 90% of the time (right now) but there are definitely moments of . . . wishing. Anyway, congrats on enjoying it! Oh I love cluttered window sills, I know exactly what you mean. A sure sign of spring! Do you juice the mint or just add leaves to the water? Or make tea? I’m VERY intrigued by this “Lemon & mint juice mixed with ice water” business, haha. Walking and listening to podcasts is one of my greatest loves too! I love the feeling of finally being able to get back out into the garden, and all the weeding/prep work getting ready for another season of growing. Such anticipation and hope. I know exactly the feeling! Brazil nut fermented cheesecake sounds amaaaaaazing! I have been especially in love with my son lately as well. How old is yours? The older Waits gets the more awed and amazed by him I am all. the. time. Parenting is so incredible! I haven’t had cinnamon rolls in aaaages, now I’m craving fresh homemade ones! Great article! Looking forward to reading future pieces by you on OHH. This week I’m loving: my new haircut! I can’t believe I waited this long to lop it all off .|. spending all day Sat & Sun doing weekend-y stuff, and still having hours of daylight left over each day to garden .|. we lost two hens unexpectedly this weekend (not the part I’m loving) and Nina’s reaction was NOT about killing the predators – it was about keeping both our remaining hen safe and redirecting the predators so they could keep “their little baby predators” safe. Oh my stars do I love my kid. We live in a pro-gun, rural area and Nina’s school is not veg*n-friendly (it’s not unusual for kids in her kindergarten class to accompany their parents on hunting trips) – and I really have no idea how much of the local culture she has been absorbing. I spelled it wrong and didn’t elaborate. Bambu uncaffeinated coffee substitute. Not made from bamboo. “No more apologies or fighting against it either. Just allowing it to flow freely and unabashedly”. Such a relief isn’t it? It’s so exhausting holding it in and trying to be someone your not? Caged. Hostage. Tortured. I have met the most amazing people because of illness. When I “found” them it was like coming home after a life long uphill (and downhill-WAY downhill) journey. It has been one of the most precious gifts. Mine just turned 2! I have to say that the toddler stage is a lot more fun (for me) than the baby stage was. 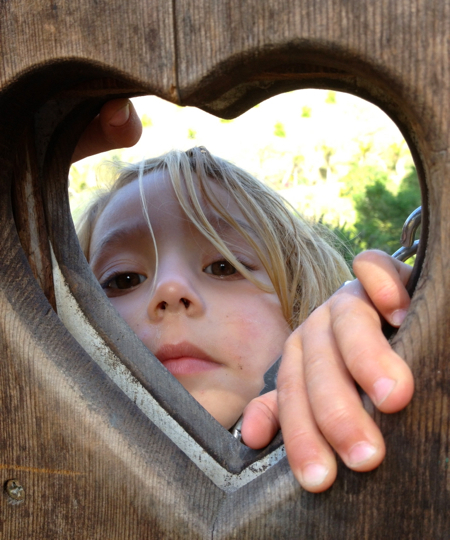 Sure there are tantrums and communication breakdowns but we can DO stuff! Your love list always cracks me up.